A visit to Cuba is like a trip back in time. The old churches, old streets, old cars and old buildings make you feel like you're stuck in a time warp. 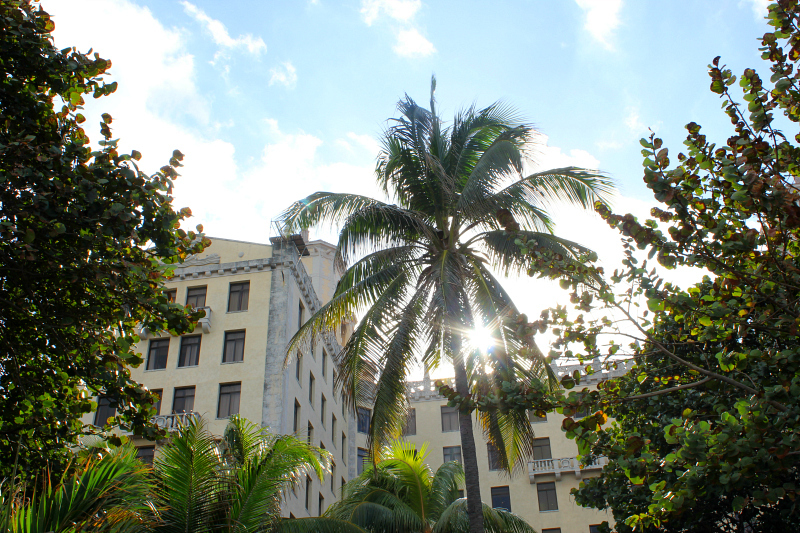 This especially rings true at the historic Hotel Nacional de Cuba, in the capital city of Havana. 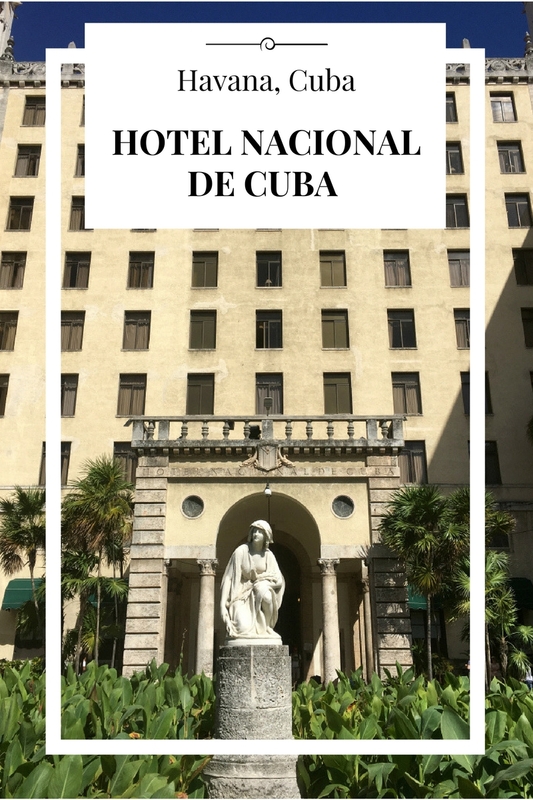 Located on the Malecón in the middle of Vedado, the central business district and urban neighbourhood in Havana, Hotel Nacional de Cuba stands atop a hill known as Taganana Hill, or Loma de Taganana. 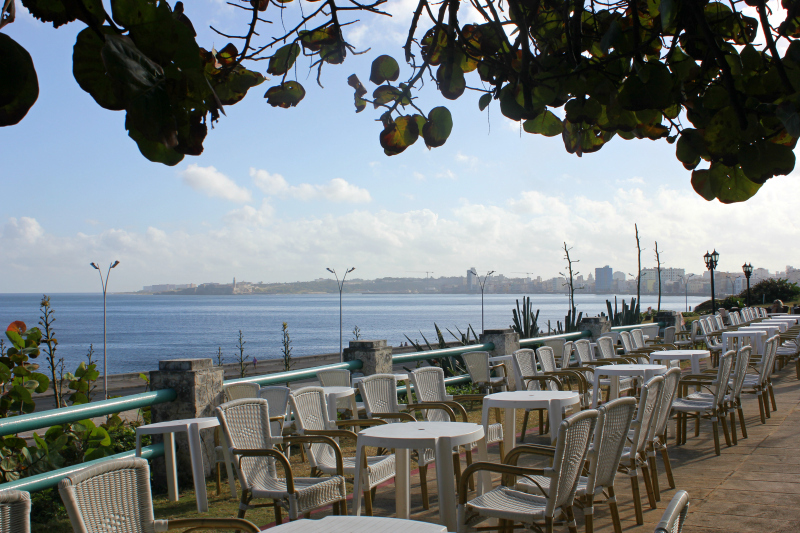 Just a few metres from the sea, it offers stunning views of Morro Castle, Havana Bay and the city of Havana itself. 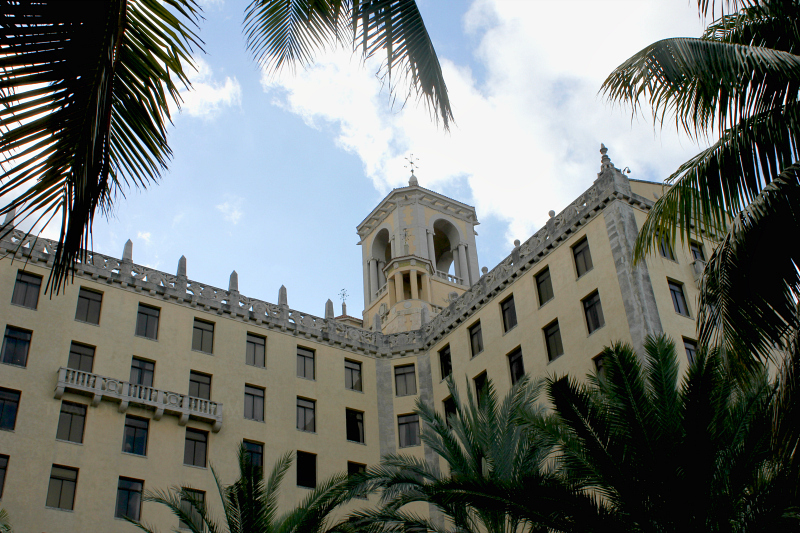 Built in the 1930s, Hotel Nacional de Cuba is considered a symbol of history, culture and Cuban identity. The hotel was built by Purdy & Henderson Company and designed by McKim, Mead & White, a distinguished American architectural firm with a prolific legacy (think a renovation of the West and East Wings of the White House in 1902 and the design of such iconic buildings as Columbia University in NYC and the Boston Public Library, just to name a few). 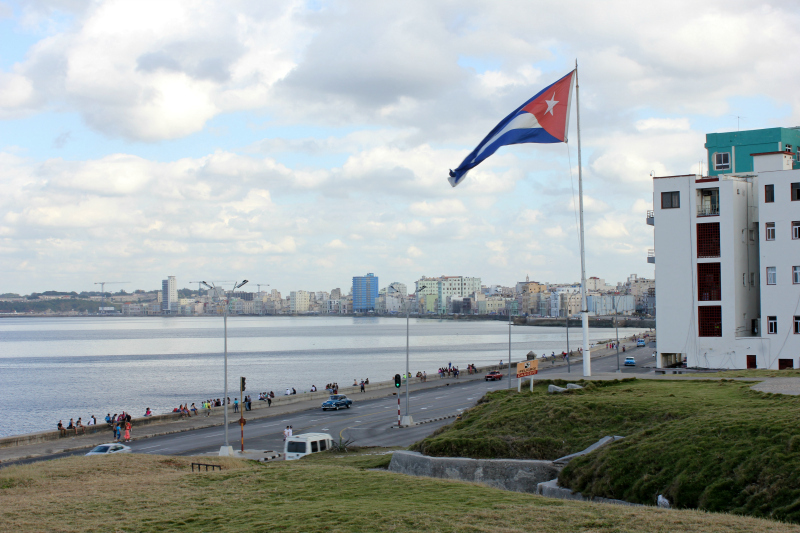 Rumour has it that although the Cuban government was officially responsible for the $7 million project, much of the funding came via the mob’s Prohibition-era cash. Although the hotel opened in 1930, the history encapsulated on its grounds began many, many years before. During the 16th century, Havana was the largest port in the region, and by the 18th century, had developed the most complete dockyard in the New World. To protect this resource, an extensive network of defence was developed. 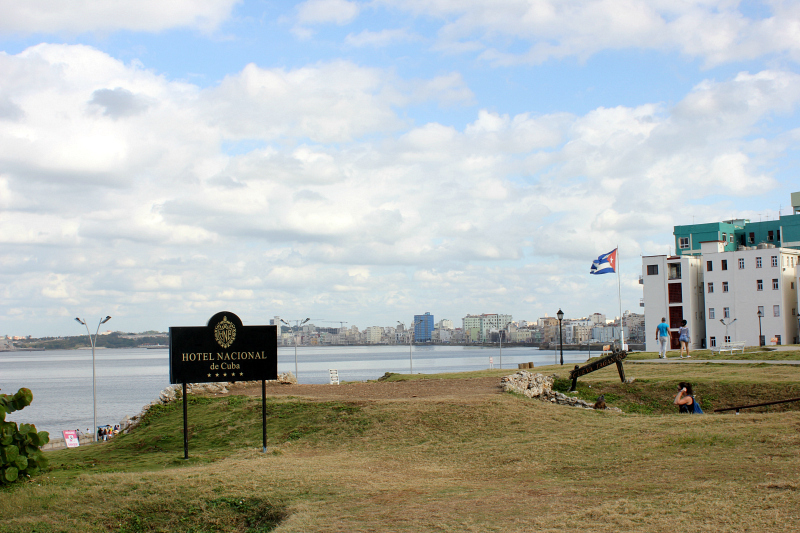 Today, Hotel Nacional sits on the site of Santa Clara Battery, dating back to 1797. Remnants of this battery can be seen in the garden terrace, where two coastal guns (or as we would call them today, extremely large cannons) are displayed. In 1982, UNESCO placed Old Havana and its fortifications, including this historic weaponry, on its list of World Heritage Sites. 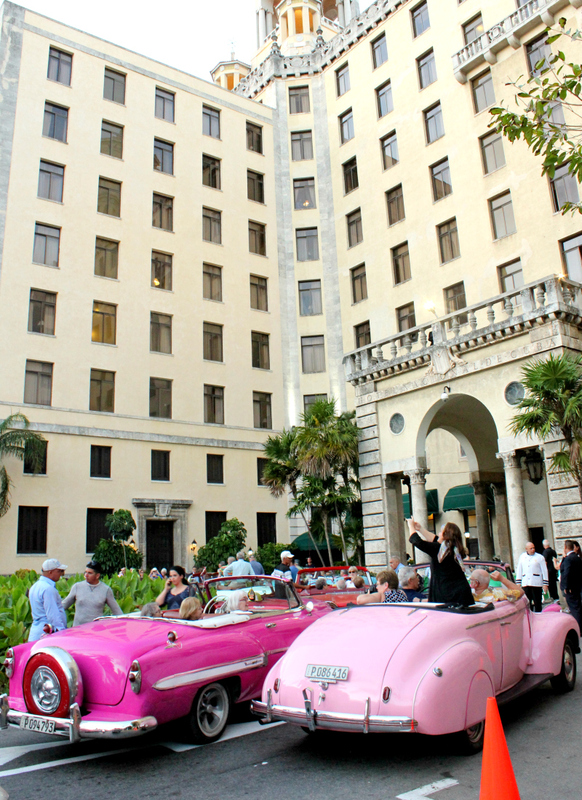 Over the 86 year history, Hotel Nacional de Cuba has welcomed many famous faces. In the early years, celebrities from Frank Sinatra and John Wayne to Marlon Brando, Ava Gardner, Walt Disney, Ernest Hemingway and Winston Churchill could be seen wandering the halls and gardens. 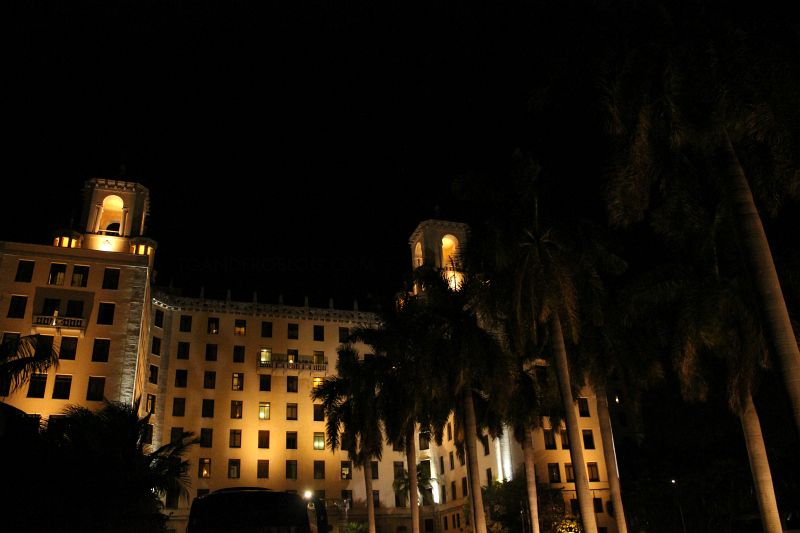 In 1946, the hotel hosted the Havana Conference, a large Mafia gathering that was attended by delegations of crime families from the United States (an event which was later depicted in Francis Ford Coppola’s “The Godfather II”). While I may have grown up in the 80s and 90s, I couldn’t help but feel a sense of nostalgia while staying at the hotel. It was easy to picture myself during the Great-Gatsby era and hotel’s prime, dressed in my best, hopping in to one of the many vintage Buicks, Chevs or Chryslers lined up like a rainbow outside and awaiting to take us to dinner. Despite its popularity, the lavish parties came to an abrupt end in 1959 with the triumph of a man by the name of Fidel Castro. The hotel was nationalized and became decorated with pro-communist banners. During the Cuban Missile Crisis, antiaircraft positions were built on the hill, and walled trenches were excavated below the gardens. Fortification that remains as a museum to this day. International tourism didn’t begin again until 1974. In more recent times, the hotel has hosted a wealth of political figures and diplomats including former Canadian Prime Ministers and Russian President Valdimir Putin. Despite the tourism ban on Americans, the current Hollywood elite have also payed visit, including Steven Spielberg, Leonardo Dicaprio and Michael Keaton. 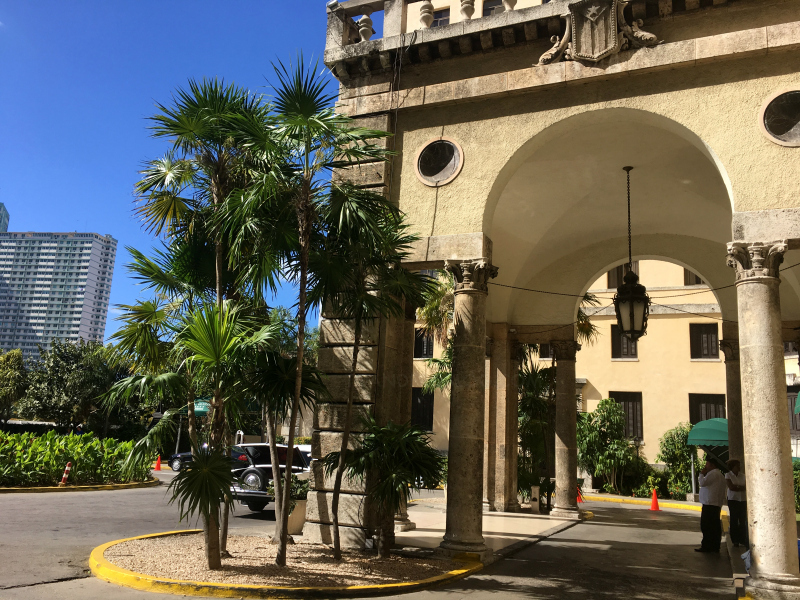 The hotel underwent a renovation back in 1992, and in 1998, was declared a national monument by the National Monuments Commission, based on its architectural and historic value, celebrity guest list and host of international events. 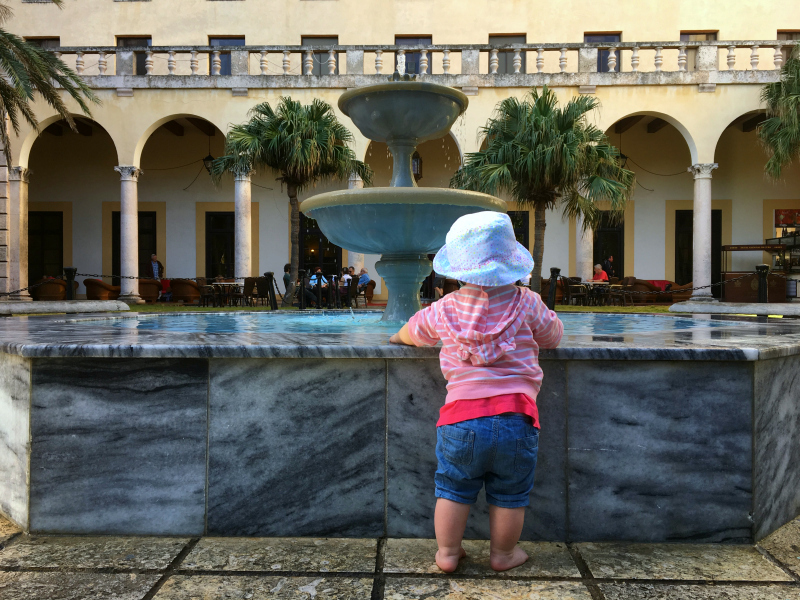 As relations are restored between the United States and Cuba, the hotel looks forward to welcoming a new generation of guests. 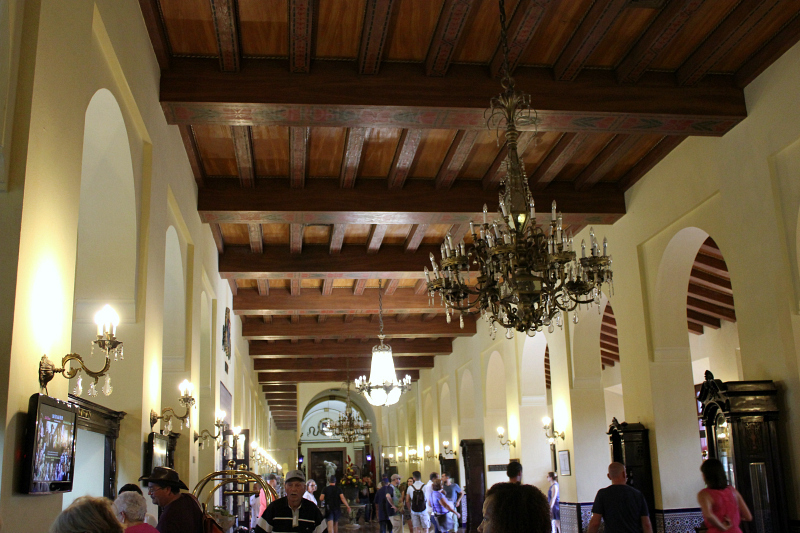 Currently, there are many American that do stay at the Hotel Nacional de Cuba, but must come as a part of an organized tour group and not independently like our group. We were surprised to speak with many Americans during our visit, including a couple that had flown down from Florida "for a long weekend". 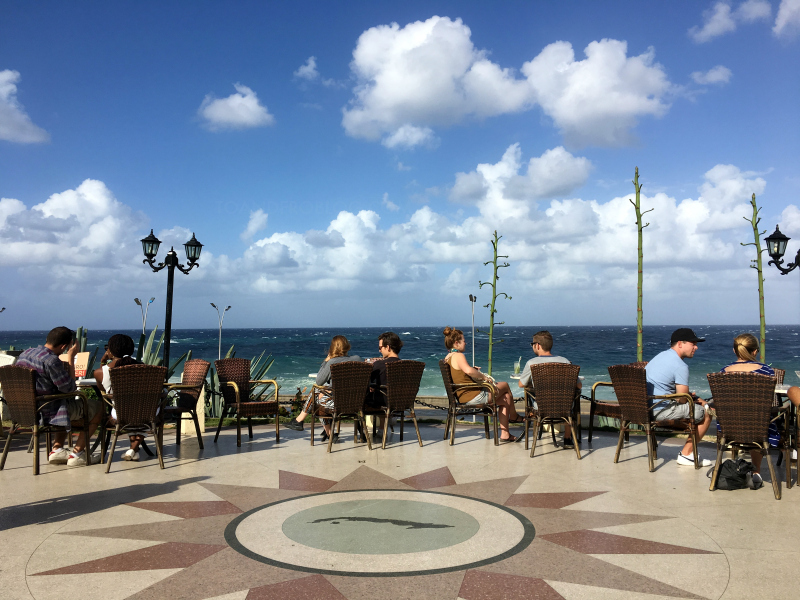 Safe to say, if I lived that close, there would be plenty of long weekends spent in Havana, sipping mojitos in the garden at the Hotel Nacional de Cuba. There is a currency exchange desk in the lobby, beside checkin, that offers a fair rate. *IMPORTANT NOTE: Cuba does not accept currency other than the CUC, which is the tourist currency. You cannot exchange money in advance of your trip, it must be done once you arrive in Cuba. At the time of our visit in the end of January 2017, $1 CUC = approx. $1.32 CDN. The hotel is very old, which means it is also dusty. If you have allergies, I recommend bringing allergy medication as it is not easily available at the local mercado. At any given time, there are numerous taxis outside of the Hotel. Both vintage vehicles and more modern taxis can be found waiting. Rooms have both 2 and 3 prong 110V outlets. For those with disabilities or strollers, there are stairs to access the front of the hotel. While there are a few restaurants located at the hotel, I recommend researching local restaurants before your visit. La Cucina Esetban was our favourite - within walking distance, wide variety to chose from, delicious and extremely affordable. Two generous chicken meals with rice, french fries and roast veggies was approximately $16 CUC. There is a cigar shop in the basement of the hotel, as well as a shop that sells a limited selection of rum and wine. You MUST try a mojito! *Guided historical walking tours offered Monday to Saturday. Have you been to Havana, Cuba? What was your favourite place to visit? I'd love to hear!